Greg Pollock has been a constant champion of higher standards for financial advisors in Canada by launching Advocis’ Raise the Bar initiative. The president and CEO also is pushing for revamped regulatory reforms that would see a unified regulatory system for advisors. 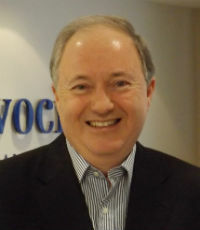 Pollock has received the Diamond Jubilee Medal and was a member of the federal government’s Task Force on Financial Literacy.